in Mullaghmore (Ireland), Belharra (France), Mundaka (Spain) and Nazaré (Portugal). It’s back, like a cold sore. Nazaré Canyon. The wave that sometimes isn’t a wave because a wave has a crest and a trough, and Nazaré often lacks the latter. The hype that comes with it is back too. Those question marks express doubt, and rightfully so. It’s like a surfers version of a cheap philosophical question: If a wave breaks without a bottom, does it break a world record? It stirs up a bigger question of how we measure waves, and the inevitable pitfalls flaws we run into in the process. A wave is measured as the vertical distance between the crest and the trough. But when you’re looking at a wave straight on, especially from elevation, things can get tricky. Nazaré Canyon is a caricature of this phenomena . At steep waves like Jaws or Maverick’s you can see that the lip is almost directly above the trough (or at least is in the frame). The storm itself was also pretty large, with hurricane-force winds in its center. "It developed S/SSW of Greenland on October 25th," explained Surfline's Mike Watson. "And this system maintained its intensity as it tracked east the next day, which resulted in a captured fetch -- maximizing swell generation for Europe. A cold front associated with it approached the region early on Monday, which allowed for window of good conditions for spots that prefer south wind." See the above example of Carlos Burle’s wave at Nazaré on October 28. At first glance it’s the biggest wave ever ridden (or at least as big as either of Garrett’s from the same wave and same camera angle). The wave looks 100 feet because we’re seeing about 100 feet of face in the image, but that face isn’t vertical. This is shown in the following graph, which illustrates a virtual cross cut of this wave. When looking at waves from the side, like Alain Riou’s wave at Belharra below, you can easily draw a vertical line from the bottom of the wave to meet a horizontal line drawn from the crest of the wave and measure the height that way. But that becomes impossible when you’re looking at a wave photographed from the front, because even if you found the bottom of the wave (a subjective location in most photographs), you can’t draw the horizontal line from the crest of the wave toward the bottom because you’d be entering a third dimension that a 2D photograph doesn’t allow. What lessons can we take away? Nazaré is a place where giant swells are ridden, but these aren’t 100-foot waves. The wave is dangerous, as we saw with Maya Gabeira’s broken ankle-to near drowning-combo. We need a better way to measure waves, especially when they’re photographed from the front. If anyone is knows of any special technology, software or math that is available that might help with something like this, we’d love to hear about it. Saildrone is an innovative oceanographic research platform developed through a collaboration of Saildrone LLC with the Marine Science & Technology Foundation. An autonomous vehicle designed for operation on the water's surface, Saildrone is powered entirely by wind and solar energy. Suitable for deployments from either shore or ship, it has the capability to autonomously navigate across any body of water around the world. Designed for long-term deployments in the open ocean, Saildrone will support collection of diverse oceanographic data, which can then be delivered to shore remotely via satellite. Our current R&D effort aims to enable Saildrone to survive autonomous deployments lasting many months in the open ocean, and prove it as a cost-efficient and agile autonomous data collection platform. 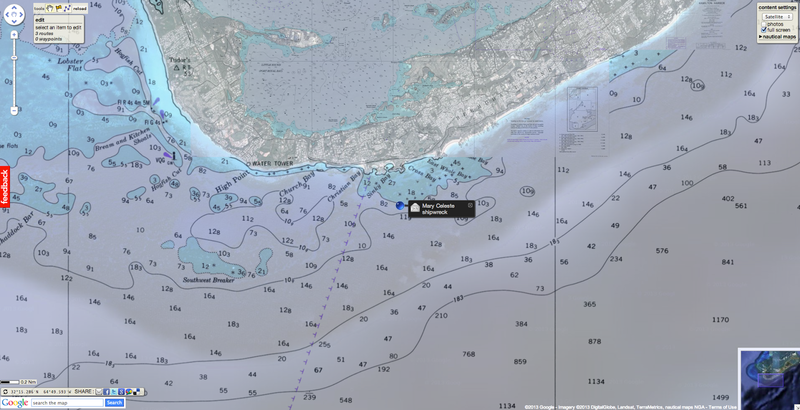 It can safely and reliably operate in areas difficult to access using large ships and other traditional methods - for example, around shallow reefs, banks, and in otherwise harsh coastal environments. Saildrone will have substantial on-board payload capacity to accommodate a variety of embedded sensors as well as add-on instrumentation for collection of diverse oceanographic data. Two-way satellite communication allows Saildrone to send data to shore and receive commands from a shoreside control center while operating autonomously at sea. 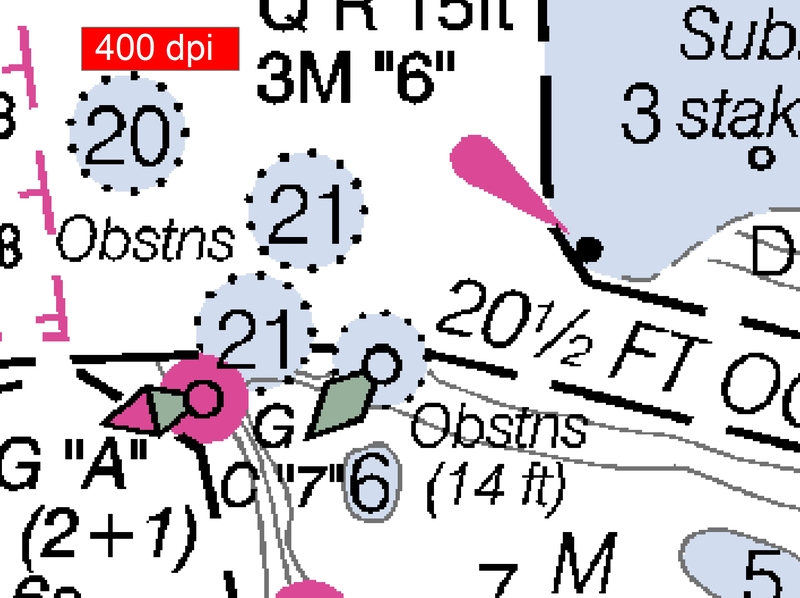 Missions can be modified "on-the-fly" by a shoreside operator, e.g. if telemetry data shows interesting trends that require more detailed investigation. This collaboration will enable Saildrone LLC and MSTF to develop and thoroughly test the initial Saildrone prototype demonstrator, and assess the potential of this technology to help reduce the costs of oceanographic data collection relative to conventional methods. 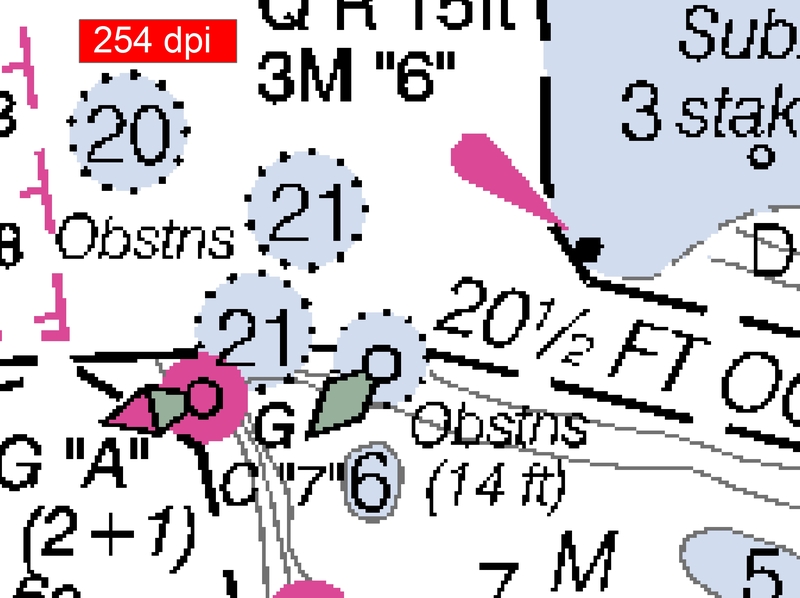 Over the past 6 months, Saildrone 1 has logged over 3,000 nautical miles during a variety of missions, including the first autonomous rounding of the Farallon islands and a 27 day offshore sortie in the Pacific. 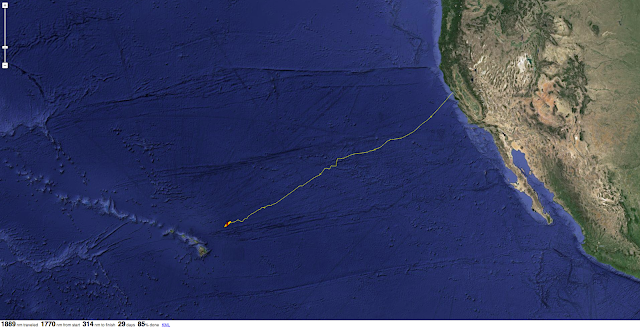 The current mission is a full ocean crossing from San Francisco to Hawaii, which started on October 1st, 2013. 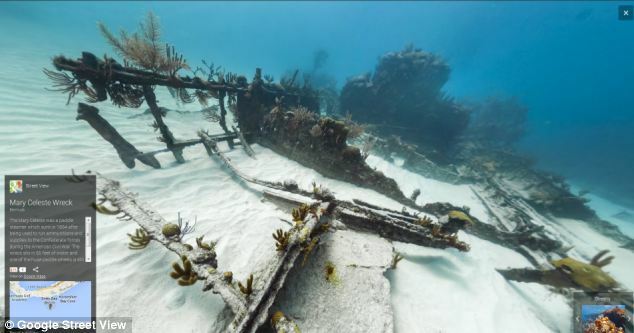 Google has teamed up with the Caitlin Sea Survey, an environmental survey project partnered with the University of Queensland, to provide panoramic views of the sunken civil war vessel the side paddlewheeler steamer Mary Celestia. 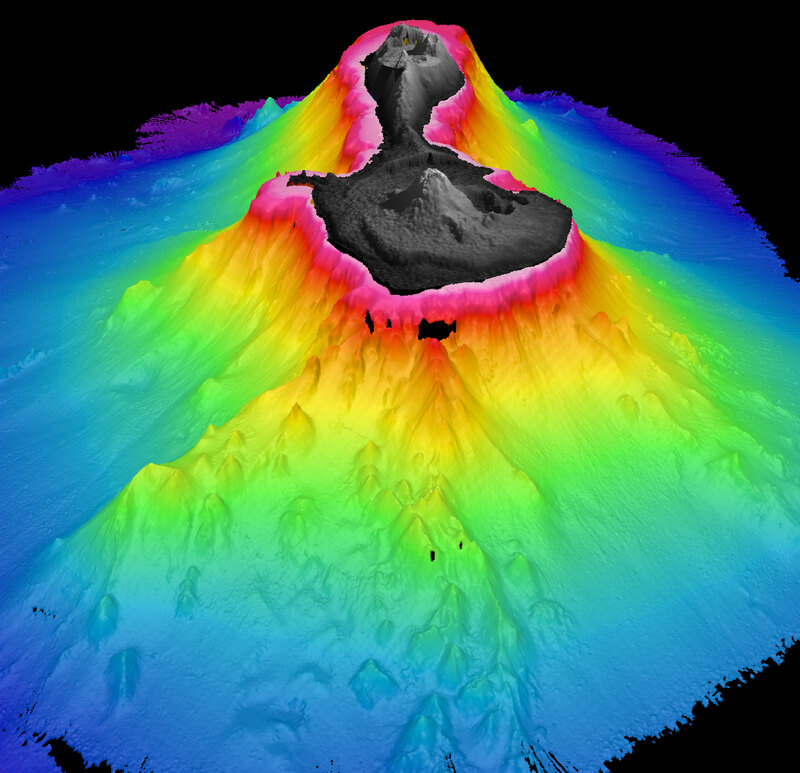 The program is an extension of the Google street view technology most of us are already familiar with, except Seaview, as it is familiarly referred to, shows life-like images underwater. Google Seaview already allows browsers to navigate full 360 degree views of some of the most famous reefs in the world, but with this new addition you can explore one of Bermuda’s most historic shipwrecks without every getting your feet wet. The Mary Celestia is one of the most heavily dived sites in Bermuda drawing attention from diving enthusiasts and history buffs alike. Registered at 207 tons, the Mary Celestia first set sail in February of 1864. The vessel, a 221 foot iron-hull paddle steamer, was used as a blockade runner towards the end of the civil war. It was originally made by the Liverpool Shipyard of William C. Miller and Son and later commissioned by William and James Crenshaw, two brothers from Richmond Virginia to help them transport goods to England and other colonies. On its last voyage September 6, 1864, the steamer was smuggling ammunition and riffles to Wilmington. 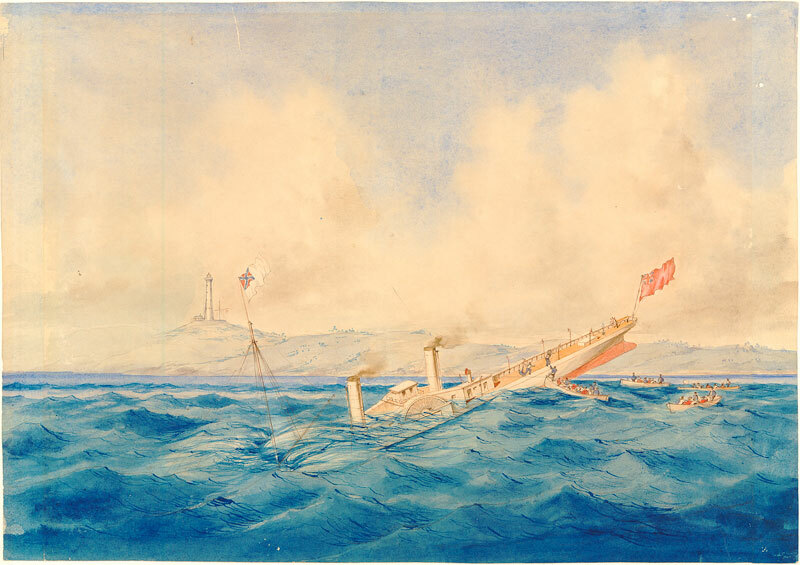 As the ship approached the shore to drop off William Crenshaw and his pilot John Virgin, it collided with a reef several hundred yards off of Gibbs Hill Lighthouse and sunk down 55 feet to where it rests today. Trailer for the LookBermuda film on the Mary-Celestia featuring the recovery of civil war wine hidden for 150 years in its bow. This footage was shot during a dive in Jan 2011 and was not staged. Though covered in coral, you can still clearly see the 14 foot paddle wheel that propelled this historic vessel. 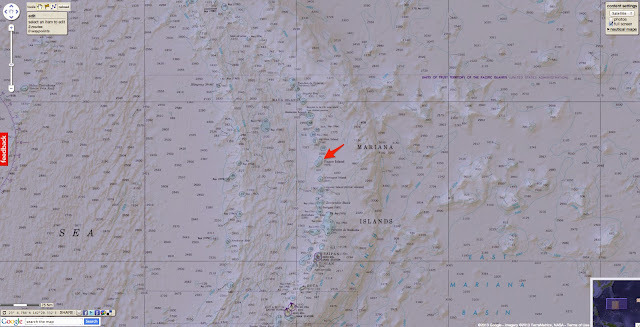 Another beautiful and valuable Pacific island has been selected by the U.S. Marines as a site for “live fire training.” Bikini, Enewetak, Kwajelein, Farallon de Medinilla, Vieques, Kahoʻolawe, Kaʻula, Diego Garcia, San Clemente … the U.S. military, especially the Navy and Marines, love islands. They take them away from their native residents and keep them forever or destroy them with the bombs, rockets, torpedos and shells of “live fire training,” after which they return them uninhabitable. Only 10 miles long and one to four miles wide, Pagan (say Pah-GAN) is made up of two volcanoes. The northern one, Mt. Pagan, is still active, pouring out a near constant column of smoke and steam. 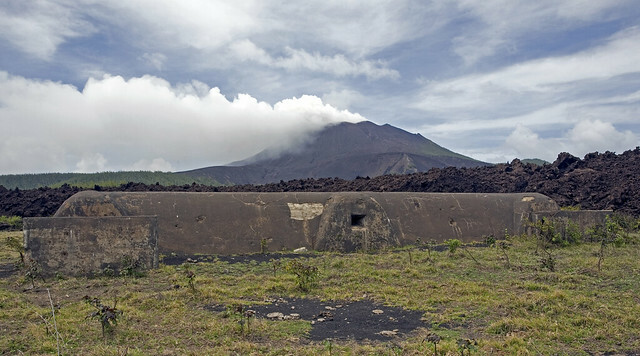 The southern volcano last saw activity in the late 1800s and retains small forests made up mainly of endemic plants that are inhabited by unique species of birds, snails and insects, as well as plants. 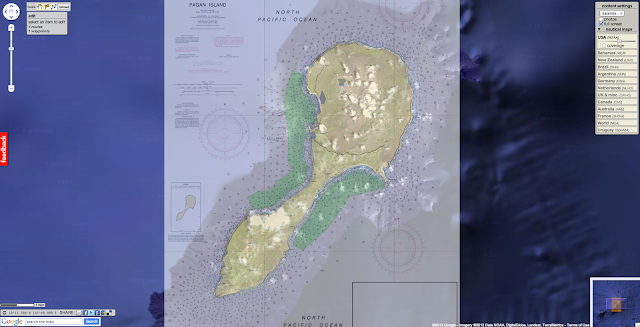 The document specifies that only Tinian and Pagan Islands meet certain specifications, and that both are needed. Further details of the military plans for Tinian and Pagan Islands can be found at the website established for information and comment: www.CNMIJointMilitaryTrainingEIS.com. We were specifically looking for a rare tree-snail species whose entire range extends from Guam, in the south, to Pagan Island, in the north. The species, Partula gibba, was once abundant on Guam, but has been so decimated by introduced predators and habitat destruction that it is nearly extinct on Guam and listed as ‘endangered’ by the Territory of Guam. It survives in only single known populations on Saipan and Tinian, and has unknown numbers on islands between Saipan and Pagan. We found this Mariana tree snail on Pagan Island, but only in the southern caldera. There are perhaps a few hundred snails there, all living within an area no larger than about a mile in diameter. Our genetic studies have revealed that the populations of Partula gibba are unique on each of the islands. Pagan Island is still considered “home” by many Chamorro people who lived on the island for thousands of years. Although the entire population of Pagan, about 60 people, was removed at the time of the last eruption of Mt. Pagan in 1981, many of them return to the island whenever possible and a few reside there continuously. They value Pagan Island as much as any people do their ancestral homes and they want to return to claim the island as homestead land. “I hope our elected leaders, Governor Eloy S. Inos first and foremost, will ask the military to reserve the island for future homestead applicants,” said Castro. “Pagan can be used as a homestead for thousands of CNMI residents who want to build a home on their own land,” Castro said. They are asking why the huge areas of the Pohakuloa Training Area on Hawaii Island and Schofield Barracks east and west ranges on Oahu, already bombed, strafed and shelled, are not enough land for the military to destroy for strategic training. Is it because the military has so contaminated those areas with depleted uranium and chemical weapons that they will never be safe for manned maneuvers, they ask. A woman walks with her dog behind the boardwalk destroyed by Hurricane Sandy in October 2012 in the Rockaways section of the borough of Queens in New York. When the waters finally receded, Mantoloking, New Jersey, resembled a war zone. All 521 houses in the borough, a seaside enclave on a barrier island about halfway down the state's coast, had suffered damage. Sixty cottages had gone up in flames after natural gas lines ruptured. A week after Superstorm Sandy struck, when residents were finally bussed back to survey the damage, there was no power or running water. Massive piles of debris filled streets, yards, and patios. Boats from the local yacht club were piled on top of each other like toys. Now, as the one-year anniversary of Sandy arrives on October 29, officials in Mantoloking and surrounding Brick Township are finalizing plans to build a massive $40 million sand dune, anchored by a four-mile (6.4-kilometer) steel seawall. The steel will climb 16 feet (5 meters) above the beach and will be piled high with sand, paid for by federal and state dollars. Brick Township was one of the spots hardest hit by the so-called superstorm, largely because it lacked the beach and dune systems that helped protect other towns along the Jersey Shore. But the impulse to minimize risk from future superstorms and hurricanes, even amid the rush to rebuild from Sandy, is not unique to Brick or the Jersey Shore. Up and down the eastern seaboard, coastal communities that took Sandy on the chin have transitioned from urgent disaster response to thinking about how to build more resilience into disaster preparedness and infrastructure, especially in the face of increasing threats like climate change and sea level rise. The efforts stretch from the local to the federal level, and as their implications begin to come into view, they're raising questions about just how much the nation has treated Sandy as an environmental wake-up call. on the southern New Jersey coastline on Oct. 29, 2012. Days after the storm, as water was still pumping out of New York City's tunnels and while much of Long Island still lacked power, New York Governor Andrew Cuomo was among the chorus of public officials saying that Sandy marked a turning point. "There is a wake-up call and a lesson to be learned here," he said at the time. "There is a reality that has existed for a long time that we have been blind to. And that is climate change, extreme weather, call it what you will, and our vulnerability to it." "How do you do your best to make sure it doesn't happen again or reduce the damage if it does?" Cuomo's call to action was echoed by leaders nationwide. "Sandy was a wake-up call, and not just for the eastern seaboard but for communities all over the country that we need to start preparing for climate change now," said Brian Holland, Climate Program Director at ICLEI-Local Governments for Sustainability, an environmental association of cities and counties. While the months immediately following the storm may have been an ideal time to issue such warnings, they were a tough time for action. "What we learned very quickly is that the first three to six months is not the time to be having those discussions at the local level," said Peter Kasabach, executive director of New Jersey Future, a nonprofit that promotes responsible land-use policies. "Everybody is dealing with relief issues and personal issues." That means the central challenge for cities and towns, according to Kasabach, "has been to try to get your town back to some kind of normalcy without overinvesting in things that are just going to get wiped out the next time." Uncle Sam has helped local governments focus on that goal. Indeed, the biggest evolution in disaster-related policymaking post-Sandy isn't some change to a zoning law or flood insurance plan, but a wholesale shift in how the federal government approaches local planning. For the first time, the feds are urging local leaders to get serious about climate change planning in very specific ways. In August, the Hurricane Sandy Rebuilding Task Force—convened last year by U.S. President Barack Obama—laid out 69 policy recommendations that would guide recovery. The theme underlying the document: in an age of warmer temperatures and rising seas, plan for a future with stronger, more frequent storms. "Decision-makers at all levels," the report said, "must recognize that climate change and the resulting increase in risks from extreme weather have eliminated the option of simply building back to outdated standards and expecting better outcomes after the next extreme event." The Brookings Institute's Robert Puentes says that the strategy laid out in the task force's report "emphasizes a bottom-up approach" that breaks with 100 years of top-down managing. "It understands that there's a different role for the federal government, that not all decisions will be dictated," says Puentes, who directs Brookings' Metropolitan Infrastructure Initiative. "Local leaders and local communities are the ones who are going to be leading in the rebuilding. Secretary of the U.S. Department of Housing and Urban Development Shaun Donovan said as much in a letter introducing the report from the federal task force, which he chaired. "Local governments and community leaders are the front lines of disaster recovery," he wrote in the August letter, "and it is the job of the Federal Government to have their back by supporting their efforts, providing guidance when necessary and delivering resources to help them fulfill their needs." The battered seaside borough of Mantoloking provides a glimpse of this new model. Local leaders learned the value of dunes from data shared by state and federal sources, which showed that towns with dunes fared much better in the storm. After many community meetings, Mantoloking authorities decided to work with Brick Township leaders to build a dune of their own. The legwork—hosting meetings, selling the plan, securing easements, wrestling through eminent domain proceedings—has been led by locals. But when it's time to bury the massive steel wall into the beach, the U.S. Army Corps of Engineers will step in, and the federal government will pick up the bill. In New York, Governor Cuomo is using federal money for an innovative local program, also illustrating the bottom-up approach to Sandy rebuilding. In January, the governor made headlines by offering to buy flood-ravaged properties in particularly high-risk locations from homeowners at prestorm market prices. With funding from the federal Community Development Block Grant Disaster Recovery Program, the first offers were sent to homeowners in the Oakwood Beach section of Staten Island. Roughly 185 homeowners have opted for the buyout, and the first sale went through a few weeks ago. A new set of offers landed in 600 Long Island mailboxes this month. Once the property of the State of New York, the houses—or what's left of them—will be demolished. The land, Cuomo says, will be "given back to Mother Nature." Other aspects of the federal task force's recommendations may be getting close to reality. The group organized a Rebuild By Design competition that selected ten teams to propose planning that makes coastal areas more resilient. The teams have been at work for months, and on October 28 each team will unveil a single design concept to focus on for the rest of the process, which will be their official entry into the contest. All ten teams will then go to work with the Municipal Art Society, Regional Plan Association, and Van Alen Institute, all nonprofits that advocate for smarter urban planning and design solutions in New York City and the surrounding areas, to connect with potential partners within Sandy-impacted communities and further shape the projects to local needs and site specifics. Next year, a handful of the designs will be selected as winners, and will be implemented in local communities, all courtesy of federal funds. The task force also set into motion a free, map-based sea level rise planning tool, built by the National Oceanic and Atmospheric Administration (NOAA) with help from FEMA and the Army Corps of Engineers, to facilitate smarter long-term decision-making at the local level. The new maps show expansions of coastal floodplain boundaries that could be used by local planners, and a sea level change calculator that gives site-specific details on projected flood elevations from 2010 through the turn of the next century, which is useful in determining how tall to cut the stilts for a rebuilt beachfront house. The most lasting impacts of the task force's recommendations are likely to come from guidelines that the federal government is now hashing out for new development and rebuilding along the coast. Many guidelines dovetail with those laid out in President Obama's Climate Action Plan, announced in June. That includes the minimum flood risk standard that will ensure that all rebuilding projects relying on federal funds must be elevated or flood-proofed in accordance with FEMA's latest flood mapping guidance. 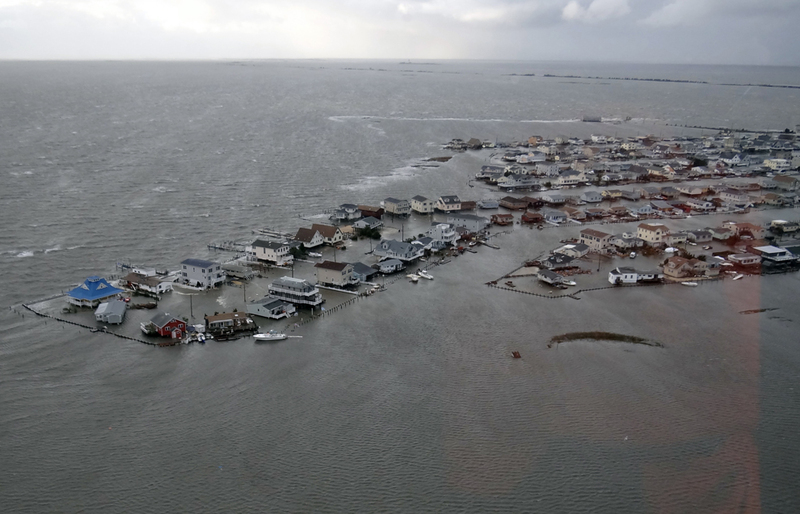 The task force is recommending that all infrastructure projects in coastal areas be held to new resiliency guidelines, though so far the guidelines are only applicable to projects that take federal Sandy relief funds. The federal government is also working to restore some natural resiliency measures to the coastal landscape. Just this week, Department of the Interior Secretary Sally Jewell announced an additional $162 million in federal funding to pay for the restoration of marshes and wetlands along the coast, and to rebuild shorelines to better protect coastal communities. "What we witnessed during Hurricane Sandy was that our public lands and other natural areas are often the best defense against Mother Nature," Jewell said before her visit to the Forsythe National Wildlife Refuge in Galloway, New Jersey, where she made the announcement. Of course, big announcements and sweeping recommendations have come after other big disasters. Think of the lofty Gulf Coast plans after Katrina, which aside from the reinforcement of levees, have largely been left to languish. How much the Sandy recovery winds up changing disaster preparedness and infrastructure is yet to be seen. Some argue that the federal government has already been too slow to turn recommendations into action. "It's been a slow process," said Holland of ICLEI-Local Governments for Sustainability, "partially because federal agencies have been hamstrung by Congress. From the sequester to the shutdown, the federal agencies haven't been empowered to implement these things as quickly as they've needed to." 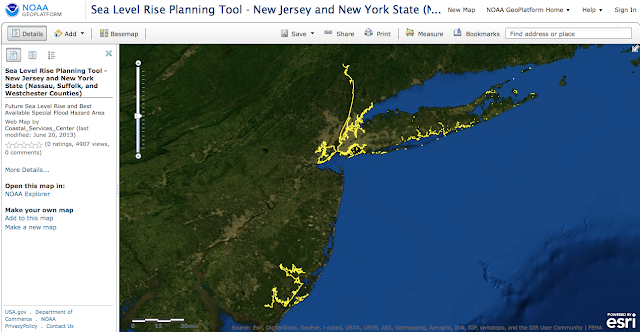 Some task force recommendations, like mapping tools, can be implemented with relative ease (NOAA's sea level rise tool is now readily available and state-specific models have already been released in New Jersey and Massachusetts), and executive orders can ensure that taxpayer dollars don't pay for wrecked homes and roads that could be flooded anew. But beyond projects funded by Sandy-related relief funds, there are no enforceable guidelines yet. "Rutgers put out a flood mapping project" said Kasabach, referring to a project called NJ Floodmapper, "but nobody is compelled to use it at this point." 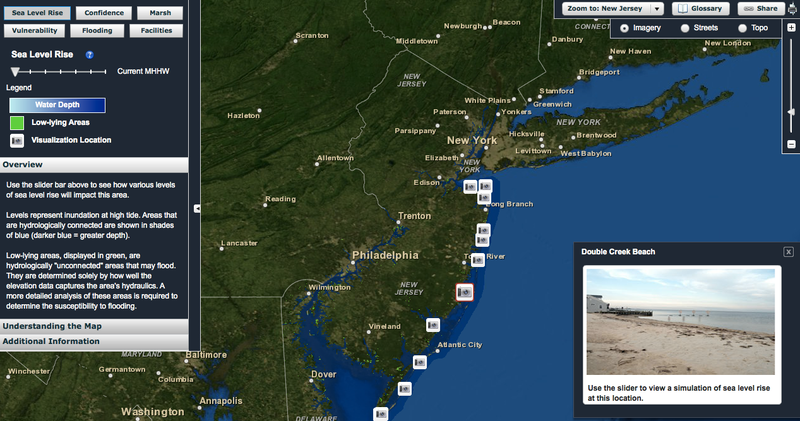 Back in Mantoloking, it's easy to see how federal resiliency guidelines could play out. Homeowners who do choose to rebuild, if they take federal relief funds, will have to elevate their homes and utility boxes in accordance with FEMA's flood projections. Still, most cities and towns across the country are still ill prepared to deal with the worsening impacts of climate change. JoAnn Carmin, a Professor of Environmental Policy and Planning at MIT, has studied climate planning on the local government level. In a recently published report, Carmin found that only about half of the 298 American cities she surveyed has any climate planning underway, and that just 13 percent had completed an assessment of local vulnerabilities and had approved long-term plans. Carmin's survey started in 2011, and she hasn't secured funding for a follow-up, so she can't say whether there had been an increase in such planning since Sandy. But she says the views of local planners and officials she talks to have been impacted by the storm. After Sandy, she said, "there has been a much greater awareness on 'preparedness' than on 'adaptation.'" Communities are far less likely to do anything to "adapt" to a new climate normal that may be perceived as decades away, explained Carmin. But "storms and disasters are imminent," so governments are motivated to be prepared for extreme weather events. While cities and towns wait for federal guidance, many are taking matters into their own hands, signing onto a Resilient Communities for America campaign organized by ICLEI, which invites collaboration between communities and offers planning resources to help local leaders make smarter decisions. The campaign also advocates for stronger standards and guidelines, and for better support from federal and state governments. On paper, the White House and the task force are pushing for the same things. A year after Sandy, it remains to be seen whether these proposals are put into action or back on the shelf. Hope Spots are special places that are critical to the health of the ocean — Earth’s blue heart. Some of these Hope Spots are already formally protected, while others still need defined protection. About 12 % of the land around the world is now under some form of protection (as national parks, world heritage sites, monuments, etc. ), while less than one percent of the ocean is protected in any way. Mission Blue is committed to changing this. Networks of marine protected areas maintain healthy biodiversity, provide a carbon sink, generate life-giving oxygen, preserve critical habitat and allow low-impact activities like ecotourism to thrive. They are good for the ocean, which means they are good for us. We can only answer with another question: How much of your heart is worth protecting? 1 Chagos Archipelago The Chagos archipelago is located in the middle of the Indian Ocean and consists of 55 low-lying coral islands that span across 550,000 square kilometers. Chagos waters are home to the world’s largest coral atoll and contain as much as half of the Indian Ocean’s remaining healthy reefs. 2 Outer Sechelles North of Madagascar, off Africa’s coast, just beyond the Seychelles Plateau are the OuterSeychelles. Scattered in the middle of the Indian Ocean, the Outer Seychelles are acollection of five coralline island groups that include 72 low-lying sand cays and atolls. 3 Coral Triangle The Coral Triangle is a marine area located in the western Pacific Ocean. It includes the waters of Indonesia, Malaysia, the Philippines, Papua New Guinea, Timor-Leste and Solomon Islands. The Coral Triangle is a global center for biodiversity and is considered by many to be the most diverse marine ecosystem in the world. 4 Micronesian Islands The Micronesian Islands are located in the western South Pacific Ocean. The 2,100 tropical islands scattered across the heart of the Pacific offer some of the most pristine and bio-diverse underwater environments on Earth. 5 Coral Sea The Coral Sea is a marginal sea off the northeast coast of Australia. Named for its staggering number of corals, this area includes the Great Barrier Reef and is one of the most diverse marine habitats on Earth. Spectacular coral reefs, remote islands and towering underwater mountains along with deep-sea canyons add to the diversity and uniqueness of this area. 6 Kermadec Trench The Kermadec Trench is a submarine trench in the floor of the South Pacific Ocean just to the east of the Kemadec Islands and northeast of mainland New Zealand. The Kermadec Trench is one of the Earth’s deepest oceanic trenches, plunging more than 10 kilometers beneath the ocean’s surface — about five times deeper than the Grand Canyon. 7 Gulf of California The Gulf of California, also known as the Sea of Cortez, is a large inlet in the eastern Pacific Ocean located along the northwestern coast of Mexico. Covering about 160,000 square kilometers, the Gulf of California covers 4,000 kilometers of coastline and reaches depths of over 3,000 meters. 8 Gulf of Mexico Deep Reefs Along the Continental Shelf of the Gulf of Mexico, there are some 200 shelf-edge reefs and banks that are biodiversity hotspots. These reefs and banks support an abundance of soft corals, subtropical and tropical invertebrates and more than 90 species of fish, including many large predators. 9 Patagonian Shelf The Patagonian Shelf is part of the South American continental shelf on the Atlantic seaboard. Two currents mix in the waters near the Patagonian Shelf — the southward flowing Brazil Current, which is warm and saline mixes with the northward flowing Falklands or Malvinas Current carrying cool, less saline, nutrient-rich sub-Antarctic water. 10 Eastern Pacific Seascape The Eastern Pacific Seascape spans Central and South America, covering a total of 2 million square kilometers. A number of the world’s most important natural habitats lie within the Eastern Pacific Seascape, including Malpelo and Cocos Islands, Coiba, and the Galapagos, where Charles Darwin carried out his groundbreaking research. Each region within the Eastern Pacific Seascape has unique environmental, economic and cultural importance. 11 Chilean Fjords & Islands With over 83,850 kilometers of coastline, and a number of offshore islands, Chile’s marine territory is vast. Southern fjords offer important habitats for whales, dolphins, seals and other marine mammals, while the placid waters below the surface host a diverse array of coral, including several species unique to the area. 12 Ross Sea The Ross Sea is a deep bay found in the Southern Ocean. It’s mostly ice covered waters are composed of two related ecosystems: the Ross Sea Shelf Ecosystem and the Ross Sea Slope Ecosystem. The Ross Sea is often referred to as the most pristine marine ecosystem on earth — unlike most of the world’s ocean it has remained relatively free from widespread pollution, invasive species, mining and overfishing. 13 Mesoamerican Reefs The Mesoamerican Reef region lies within the Caribbean, extending from Isla Contoy on the north of the Yucatan Peninsula to the Bay Islands of Honduras. It is the second longest barrier reef and is home to over 350 species of mollusk and 500 species of fish, including the whale shark — the largest fish in the world. 14 Gulf of Guinea Part of the eastern tropical Atlantic Ocean, the Gulf of Guinea is located off the western coast of Africa. The marine flora and fauna of this region remains relatively unknown, but this area is largely intact and recognized as a critical area to protect in order to preserve African biodiversity conservation. 15 Charlie Gibbs Fracture Zone The Charlie Gibbs Fracture Zone is a major transversal topographical feature located beyond the limits of national jurisdiction. Reaching depths ranging from 700 meters to 4,500 meters, the Charlie Gibbs Fracture Zone is a system of two main parallel deep rift valleys. 16 Sargasso Sea Located off the shores of Bermuda in international waters, the Sargasso Sea is the Earth’s only sea without a land boundary. The open-ocean ecosystem lies within the high seas and is bounded by currents circulating around the North Atlantic sub-tropical gyre. 17 Gakkel Ridge The Gakkel Ridge is the deepest and most remote portion of the global mid-ocean ridge system. The diversity of life found surrounding the hydrothermal vents of the Gakkel Ridge are not well known, but it is thought that the unique ecosystem hosts’ distinctive and diverse life found nowhere else on earth. 18 Bahamian Reefs The Bahamas are located off the southeastern tip of Florida and host forests, wetlands, swamps, and the Andros Barrier Reef, the second largest barrier reef in the western hemisphere. The Bahamas island eco-region consists of over 3,000 low-lying islands and covers over 14,000 square kilometers. 19 Bering Sea Deep Canyons Home to ocean albatross and kittiwakes, orcas, walrus and fur seals, king crab, squid, salmon and cold water corals, the Bering Sea Canyons Hope Spot supports a near endless variety of life. But the Bering Sea’s beautiful and carefully-balanced marine environments are in danger, threatened by industrial fishing that is depleting the region’s resources and risking destruction of this Hope Spot. Fourteen years ago, the Enhanced Thematic Mapper Plus on Landsat 7 acquired these images of mud trails off the coast of Louisiana. They were caused by bottom trawling in the Gulf of Mexico, a fishing technique that involves dragging large nets across the sea floor. Bottom trawlers drag weighted nets along the sea floor, scraping it bare as they scoop up everything in their path. Corals, as well as any unintended species of fish, are called bycatch that trawlers throw overboard, dead or dying. Bottom trawling is an efficient way to scoop up shrimp and squid, but that’s not all that ends up in the nets. Some things have changed and some things have stayed the same since this image was acquired in 1999. In 2006, the National Oceanic and Atmospheric Administration prohibited bottom trawling off of most of the Pacific Coast of the United States. Other countries—including Norway, Canada, Australia, and New Zealand—have also taken steps to discourage the practice. Yet in many parts of the world, including the U.S. Gulf Coast, the practice persists. You can read more about bottom trawling in the Gulf of Mexico from Sky Truth, the Gulf of Mexico Fishery Management Council, and Science Daily. Bottom trawling isn’t the only type of fishing visible from space. Read our new feature about the city of light that appears off the coast of southern Argentina on most nights due to squid fishing.